To welcome this year’s Lantern Festival, Haikou will hold a series of cultural activities on the night of the Lantern Festival on 17th Feb, such as a fireworks show and flower exchanging festival. The fireworks show will be held at the north of Haikou Century Park, starting at 8:00 pm and last about 35 minutes. 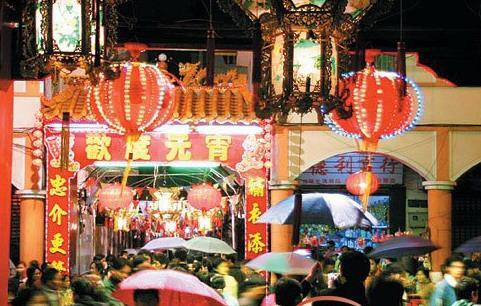 The main venue for this year’s flower exchanging festival will be set at Zhuyun Road. The flower exchanging festival will include 9 activities: song & dance show, praying, lantern show, painting & calligraphy exhibition, lion dance performance, lantern riddles guessing, Qiong Opera performance, and puppet show. The opening ceremony for the flower exchanging festival will be held 8:00pm to 10:30pm on 17th Feb 2011.